Suppose we have a longhaul destination in mind. We search for the right fare, and the right Schedule. Many people are bargain hunters, or simply think travelling is just a burden to get to a destination as quickly and cheaply as posible. Many people want to combine travelling from point A to B, with have fun. Fares structure is a complex issue, which not all the passengers understand. Terms as sunday rule, restricted, full economy, come up in our booking process. We can find fantastic deals, and after having booked, we prepar ourselves to have an usually dreadfull experience in our longhaul destination. But many times, the gap between full economy and restricted business is so marginal, than flying can become a pleasant experience. Business class, is usually a cabin designed for passengers wanting an extra, but without having to pay the excessive First Class. A world of pleasure which combine the best of both worlds. Some business fares are high, but many times they could be decently affoardable, proving a lifetime experience. Why don´t you flatter yourself?. If you do it, do it properly and in style. The massive A380, is an intelligent way of reducing costs, and giving passengers the best fares. But a overcrowed A380 cabin is not the best way to start our holidays. Having an extra space has given the luxurious airline Emirates the chance to offer the biggest amount of space for Premium classes. Introduced in july 2008, the airline was the second launch customer, offering concepts never seem before. First Class suite, spa showers, and the best and most spacious business seats in market. But terribly expensive. Business Class, is not that oppulent, but a good alternative. 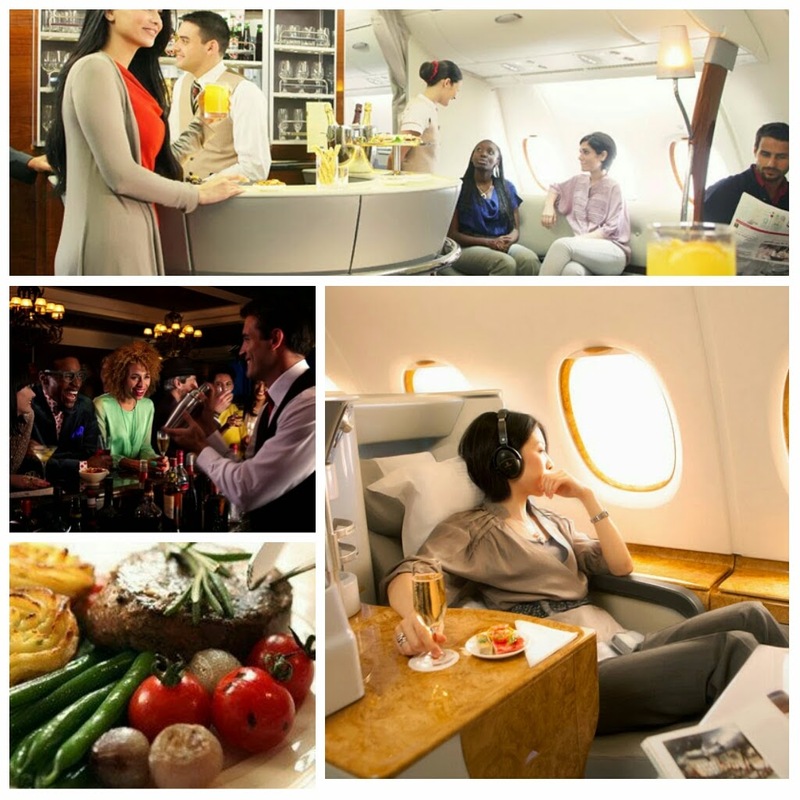 If you want to indulge yourself, there are five reason to choose Emirates A380 Business Class. Yes, ok. Pitch in Emirates economy class may be better than the standard in the industry. Individual screens give hours of interactive entertainment. But almost 400 passengers in the lower deck is not fun. Not a medieval torture, but not nice. Space is the keyword and the upper deck offers almost private and intimate cabins, specially those by the window. ¡¡Feel the space¡¡. 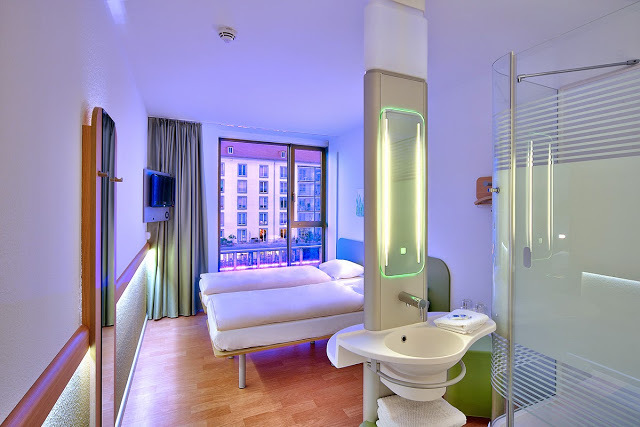 Lie flat, warm duvet, full of different ítems, minibar, individualized space to be quiet in your private space. Breeze and relax on the quietest plane in the world. Emirates food in economy is really nice. But ten hours, packed in your seat is not the best way to enjoy food. If you upgrade your experience, you will be able to sample the same delicacies served like on a top notch restaurant. Fine food, nicely served, china, glass, proper cutlery, and accompanied by the best and choosen wines and spirits. Big table, tempting desserts, Godiva chocolates. The best way to enjoy food at 30.000 feet. Smilling Emirates crews are second to none. One of the worse things is not being able to stretch your legs in an economy class cabin. The A380 is the only plane with a dedicated lounge at the rear. If you get fed up with your seat, just walk back, enjoy a glass of champagne in the cosy lounge, or try a delicious bite on the exclusive área. The best cocktails, served like in a fashionable bar in any big city. I do not enjoy getting to my destination quite tired, and having to grapple with the local transportations. Taxis, long journeys using the subway, or carrying your luggage on a bus. Don´t worry, a private luxury car with a driver will be waiting for us to take you in style to your destination. The complementary service is also offered prior departure. 5) Dubai Terminal 3 VIPLounge. The new Dubai Airport is a massive place. Dozens of A380 are moving arround, and sometimes connecting is not nice, except if you have a friendly place to wait. Probably the biggest space in the world, the access to the Terminal 3 private lounges is like a gentle breeze. Gourmet food, relaxing áreas, reading materials, and spa which allows to have a quick shower or a treatment before your flight relaxed. Travelling has never been so enjoyable.